The summer may be just about behind us, as tomorrow marks the first official day of Fall. A flurry of activity centers around the summer season for most parts of rural Newfoundland & Labrador. This included many early mornings and late evenings spent on water – fishing, or on land – processing fish species or harvesting our forest products. Not to mention the fun and frolicking of summer vacations, festivals, Come Home Year Celebrations, weddings and other special activities that illuminate the liveliness of summer! Well…Fall is a time not only for moose hunters, but for those who in late Spring planted seeds. Only to be rewarded with an array of fresh vegetables in their gardens. The mainstay crop has traditionally and still is the potato. 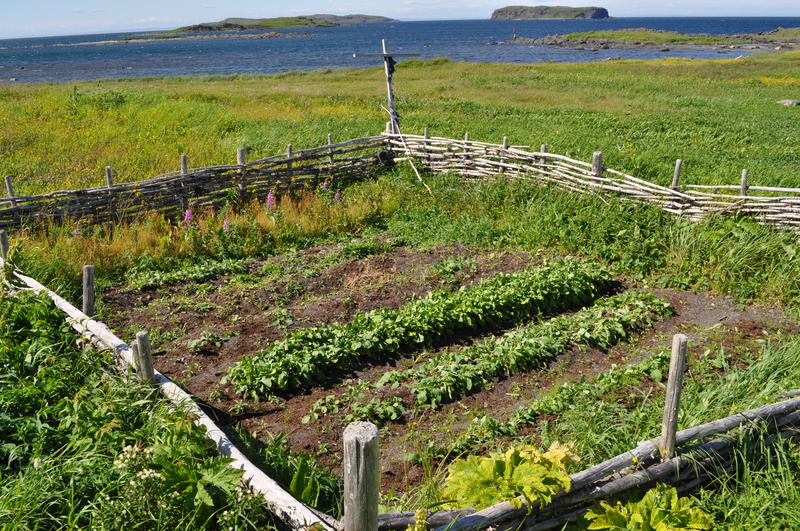 However, the tastes of Newfoundlanders and Labradorians have diversified to include turnip, carrot, cabbage, onion, radishes, beets, greens, pumpkins, squash, and peppers to name a few. As I look into my backyard, I see two big plots of land that serve as gardens for subsistence living. 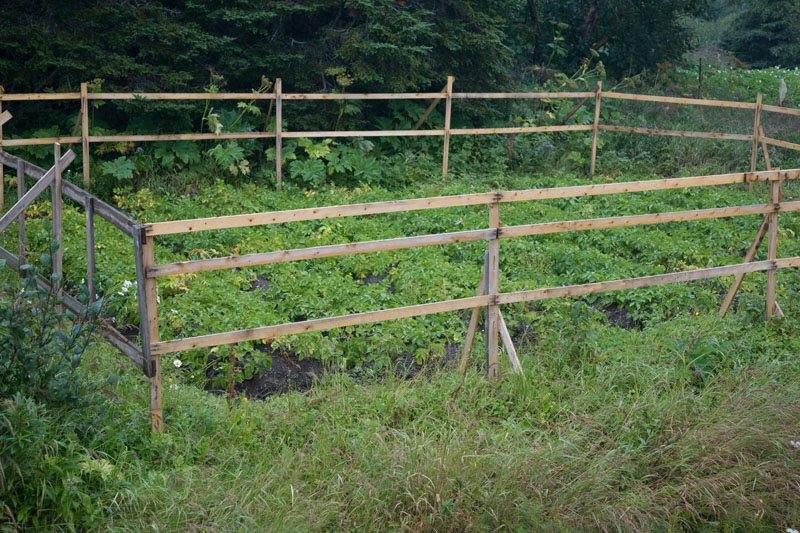 I remember as a youth with my grandmother spending many hours tilling the land, marking the locations for potato beds, placing the small seeded potatoes (they had to be just so for my grandmother), adding kelp (seaweed) for natural fertilizer and then covering the bed with mud. I think I somehow always found an excuse never to help with the weeding of the garden. However, I would always enjoy pulling up a ripe carrot, brushing the mud away from it and eating it right there on the spot. It was so delicious, with no harmful pesticides. The food we grow always tasted good and nutritious! I loved digging up the potatoes in the fall of the year. I remember this one year, my grandmother and I were digging side-by-side. She had struck a marvellous, well-rounded potato. This started a competition to see if I was able to find one bigger. Well, I managed to get a very large potato. It was a little deformed. I would say now it was a mutated family of potatoes, but not then as I argued it was the bigger one! After holding each potato in our respective hands, we were unable to determine a winner. It is like those moments in a close curling match, when the teams call on a third-party to measure. Well we had to get my father to be that third-party in this scenario and weigh each potato. Well, “I was victorious by just an ounze, maybe two”, but it certainly would not have won a beauty pageant. That prize would have to go to grandmother. 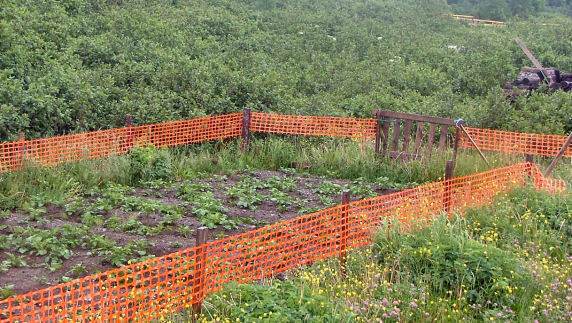 For the traveller in the know, if you drive around rural Newfoundland & Labrador you will have the opportunity to see many gardens planted at roadside. They are basically planted there because of the good soil for growing crops, without as many pesky weeds. These gardens are planted on Crown land. Most of Newfoundland & Labrador’s land is considered Crown (more than 90%). The Government is now instituting stricter regulations on road signage. I only hope they do not consider repatriating or expropriating our rights of residents to till the grounds our ancestors did as a means to subsist of the land! These gardens are part of our heritage and culture that add to the uniqueness of our province. The curiosities it gives to tourists, is plentiful as many stop to pull out their Canon or Nikon‘s to take a snap or two and wonder for a while. There is opportunity in growing agri-culture and agri-foods on the peninsula on commercial scales. Where are our local Farmer’s Market? Today, I had dinner with my grandmother, an intelligent youthful person at the mere age of 78. She certainly can put up a good meal. We chatted, as we ate fried vegetables (greens, potatoes, salt meat, onion and oil) and other remnants of yesterday’s Sunday dinner. It was very special as we had an opportunity to reflect on her first summers of coming to the community which has become her home for 6 decades. She makes the very best puddings and I always tell her. Today, I inquired further as to how and when she learned. As the oldest child, she learned from her mother at a very young age and passed on these skills to her younger siblings. In her words, “everyone had to contribute”. Everyone learned a variety of talents that prepared them as they progressed to take on the world. It seems we are losing some very valuable customs and traditions as not everyone chooses to learn. I will share with you how to prepare Sunday’s Dinner, since it is my favorite traditional Newfoundland meal. It is chicken or turkey with stuffing, potatoes, carrots, turnips, greens, cabbage, potatoes, gravy, peas pudding and our famous salt beef. We also have a selection of other puddings that may be served with the meal: bread pudding, raisin pudding (locally referred to as “figgy duff”), molasses pudding, blackberry, partridge berry and there are many others! My grandmother makes the best raisin puddings and molasses puddings. Yum! Prepare stuffing by soaking slightly stale bread in water. Squeeze to remove excess water. Add melted butter, salt, black pepper and seasoning (basil, rosemary or thyme). Prepare chicken or meat, lightly salt. Place stuffing inside chicken, excess can be wrapped in foil. In a roasting pan, place chicken and add water. Cook on 350 F, lightly baste and add an onion for flavour. Soak salt meat overnight, drain and place in large cooking pot. Tie peas in cloth bag (locally referred to as “peas pudding bag”); however, a mason jar with a few holes punched at the top will also be sufficient. Put peas in pot with salt beef. Cover beef and peas with water. Heat to boiling, cover and simmer for 2 hours. Prepare vegetables. Small carrots and potatoes may be left whole, larger ones are to be cut in half. Slice turnip and cut cabbage into wedges. After meat and peas have cooked for 2-2.5 hours add vegetables and cook until tender, adding the cabbage last. Remove peas from bag, place in bowl and mash with butter and black pepper to make peas pudding. Remove salt meat and slice. Remove vegetables and place on platter and serve. Combine dry ingredients, add milk and egg. Put in a cloth or spring container and boil for two hours. Mix together molasses, sugar and spices in a bowl. Dissolve baking soda in hot water. Add to first mixture, then add melted butter and raisins. Mix well. Add sifted flour a little at a time. Put in greased pudding mould and steam 1 1/2 to 2 hours. Hope you enjoy! I certainly did this past Sunday with my grandma, mom, her partner and my three aunts. Many great talks or yarns happen around the kitchen table in rural Newfoundland, both in the past and still today.